What is Director Iancu Proposing the USPTO do for §101 Analysis? Director of the U.S. Patent and Trademark Office Andrei Iancu made some interesting remarks yesterday at the Intellectual Property Owners Association Annual Meeting in Chicago on September 24, 2018 regarding a proposal for new guidance on how the USPTO would approach determination of subject matter eligibility under §101. In sum, the proposed guidance for Section 101, which addresses step 1 of Alice, would explain that eligibility rejections are to be applied only to claims that recite subject matter within the defined categories of judicial exceptions. And even then, a rejection would only be applied if the claim does not integrate the recited exception into a practical application. This provides significantly more clarity for the great bulk of cases (emphasis added). In the IPO meeting’s (written) remarks, Director Iancu speaks at length about the current confusion in the Mayo/Alice framework and how “significantly more work needs to be done, especially on the ‘abstract idea’ exception.” Specifically, Director Iancu discusses recent Federal Circuit concurrences and dissents identifying the uncertainty in the law and, in fact, calling for a change. While echoing the issues voiced by the appeals court judges, Director Iancu harkens back almost 40 years to Judge Giles Rich and the problems of commingling §101 jurisprudence with other statutory provisions. More specifically, the contemplated guidance would do two primary things: First, it would categorize the exceptions based on a synthesis of the case law to date. And second, if a claim does recite a categorized exception, we would instruct examiners to decide if it is “directed to” that exception by determining whether such exception is integrated into a practical application. These two clarifications would help drive more predictability back into the analysis while remaining true to the case law that gave rise to these judicial exceptions in the first place. And what are these “basic tools?” I believe that the Supreme Court has also told us that, at least through their examples. Mental processes, which are concepts performed in the human mind, such as forming an observation, evaluation, judgment, or opinion. Under the first step of the proposed guidance, we would first look to see if the claims are within the four statutory categories: process, machine, manufacture, or composition of matter. This is not new—we always do this. If statutory, we would then check to see if the claims recite matter within one of the judicial exceptions, categorized as I just mentioned. This is the new approach. If the claims at issue do not recite subject matter falling into one of these categories, then the 101 analysis is essentially concluded and the claim is eligible. This alone would resolve a significant number of cases currently confounding our system. If an examiner does not find matter within the disallowed categories, he or she can move on. This is a key first step to be added into, e.g., what Step 2A currently looks like. This “new approach” may require the examiner to articulate that the claims fall into one of the three categories before proceeding to decide whether the claims are “directed to” those categories. To that end, we must first understand what the line is that the court wants us to draw to decide whether the claim is “directed to” an excluded category or not. The proposed new guidance would explain that Supreme Court jurisprudence taken together effectively allows claims that include otherwise excluded matter as long as that matter is integrated into a practical application. The line, in other words, delineates mere principles, on one hand, from practical applications of such principles, on the other. Perhaps it is that simple—practical applications of the judicial exceptions are eligible while mere principles are not eligible. It is important to note that the first step of our analysis does not include questions about “conventionality,” which are addressed in Alice Step 2. That is, it does not matter if the “integration” steps are arguably “conventional”; as long as the integration is into a practical application, then the 101 analysis is concluded. This helps to ensure that there is a meaningful dividing line between 101 and 102/103 analysis. A fully “conventional” yet patent-eligible claim may still be unpatentable as obvious. But it is better to address such a claim with obviousness law that has been developed over 65 years of practice. The analysis also does not deny claims as ineligible merely because they are broad or functionally-stated or result-oriented. I understand the concern with certain types of broad, functionally defined claims that do not have sufficient support in the specification. But for these cases, USPTO examiners know, and will receive further guidance and training on, how to apply well-defined Section 112 principles. This speech appears to be timed with the recent revisions of Standard Operating Procedures in the Patent Trial and Appeal Board (PTAB) of September 20, 2018 and harkens back to Director Iancu’s April 11, 2018 remarks at U.S. Chamber of Commerce Patent Policy Conference where Director Iancu identified the concerns of increased uncertainty in §101 determinations and PTAB proceedings from the Chamber’s report. Director Iancu asserted that “Currently, we’re actively looking for ways to simplify the eligibility determination for our examiners through forward-looking guidance. Through our administration of the patent laws, which we are charged to execute, the USPTO can lead, not just react to, every new case the courts issue.” This new approach appears to fulfill that promise of a simplification and leadership. After the April 11th remarks the famous “Berkheimer Memo” (a/k/a the “2B Memo”) was issued on April 19, 2018. In this case, the new guidance would be expected to be issued soon but of course would require some time (and public comments) before finalization. Kevin A. Rieffel a registered patent attorney with Haley Guiliano LLP. Kevin’s focus is on patent preparation and prosecution, portfolio development, and IP licensing and litigation strategy. Kevin almost exclusively reads and contributed to blogs on IP news and policy, high school swimming, and Georgetown basketball. For more information or to contact Kevin, please visit his Firm Profile Page. We now have a director who understands the § 101 problem in specific detail. Director Lee did not, who (like the Supreme Court) was content with broad proclamations about § 101 jurisprudence, with no concern of how they were supposed to connect with individual cases and examination practice. This rationale, if applied honestly and consistently, would resolve probably 90% of my beef with the USPTO’s existing application of § 101. Every patent application I have ever written includes an explanation of the state of the art, the inadequacies of existing techniques, and the potential advantages of using the claimed techniques in that context. Every independent claim recites not only the novel concept, but the step of using that concept to complete the objective. And if an examiner / judge / potential licensee / etc. were ever to pick up an application and say: “What makes this invention interesting? Not just *different*, but an improvement?”, I never want to have to formulate an explanation – rather, I identify and quote the parts of the specification that answer the question. My central problem with the USPTO is that many examiners disregard all of that. They see that the claim includes *a* step that involves calculating / identifying / etc., characterize it as an “abstract idea,” and then flush everything that comes after it with generic “not significantly more” boilerplate. They refuse to acknowledge the significance – or, in some cases, even the *existence* – of the claim elements that recite the application of the concept to complete a specific task. And they also refuse to consider the parts of the disclosure that explain the significance, because “broadest reasonable interpretation / In re Van Geuns,” as if those legal principles entitle examiners to throw away the specification and look at the claims *in isolation*. If Director Iancu’s vision of § 101 examination practice becomes reality, it would break the logjam of cases getting stuck on § 101 issues due to examiners refusing to read and understand the specification. The examining corps, the PTAB, and the public would all benefit from an examination process that exhibits less unnecessary friction. David Stein you are spot on. This sounds like a direct challenge by Director Iancu to the Supreme Court and the Federal Circuit. Director Iancu is absolutely right of course. But this is not what the Courts mean by “Directed to an Abstract Idea.” The analysis as promoted by the Director, gets rid of Benson and Flook. Excellent move! However, I have to believe that there are many large companies who will not like this and bring a case asap before the Supreme Court, who will take it up and bring us back to medieval interpretations. Right now a very hopeful development. Director Iancu has experience, a good sense of technology and guts. However, knowing SCOTUS, we may expect a future ruling that is even worse than Alice. This is a matter for Congress to take up the issue and support Director Iancu. I agree with the Director’s “practical application” approach. Should anybody care if a generic computer was placed on a plain shoebox if the result cured a horrible disease? Even the people gaming the current patent system would be exposed as disingenuous when caught using the shoebox to cure their own disease. Our eyes have been completely taken off the ball. The current patent situation is symbolism over substance to game the system for an elite few. But he just wants a way to get software patents back. – Dir, Iancu’s goal of leading 101 jurisprudence (to a simple run way) is admirable but we will have to wait for the memo before we understand the mechanism of influencing court decisions. – the Berkheimer/2B memo was very detailed but his interviews indicated the analysis simply boiled down to a 112(b) consideration on “conventionality,” so I expect robust support for his proposal. – skilled drafters appear to have luck getting software-related claims allowed passed 101, so I do believe Dir. Iancu’s main concern is consistency of application for the examining corps. – I take this proposal as a message that examiners (and applicants) are spending far more time on 101 that could/should used on issues of prior art; i.e., the “stay in the designated lane” really means that if a claimed conventional idea really is merely applied to a computer then 102/103 should be sufficient as a tool. – I am told that the courts are better than the examiners at not starting with a conclusion and working backwards; requiring the identification of the category may foster a less conclusory/backwards approach in 101 rejections by nature. Zoobab: Director Iancu is actually pretty much in line with EPO rules and with what rational people will consider technological improvements. These are a particular example of the principle that purely abstract or intellectual methods are not patentable. For example, an abstract shortcut method of division would be excluded from patentability by Art. 52(2)(a) and (3). However, a calculating machine constructed to operate accordingly (e.g. by executing a program designed to carry out the method) would not be excluded. Electrical filters designed according to a particular mathematical method would also not be excluded. Alice, Bilski and Mayo were “practical applications” even though they were also abstract ideas. I give kudos to the new PTO management, but I’m not sure this solves much. We believe judicial exceptions have far surpassed any reasonable usefulness and reason itself. In our view the court has been caught up in unnecessarily complex tests and lost sight of the purpose of the patent system as a whole…’To promote the Progress of Science and useful Arts’. Further, we believe any invention for which the application teaches how it can be made and used by one of average skill in the art cannot by any reasonable stretch be said to be ‘abstract’. Again, so long as an invention is useful we believe as did the founders that it is deserving of a patent to secure the rights of the inventor. How it is arrived at or whether those unskilled in the art may view it as ‘abstract’ is immaterial. Can it not be said that rather it is the court’s application of the law and the Constitution that is abstract and strips the rights of inventors? The law must be changed to reflect a more reasoned and measured test for patentability which must by necessity hinge on the undeniable truth that all useful inventions are deserving of patent protection as in the Constitution. Has the court outlived its usefulness and is it no longer competent to hear patent cases? It appears to many a new court containing judges with technical backgrounds who are better able to grasp inventions will better protect the patent system. In the views of many SCOTUS and even some CAFC decisions of recent years have severely weakened it. For inventors, the patent system is all but dead. We have no realistic expectation that we will ever be able to commercialize our inventions, or even benefit materially form them. One way to solve the 101 problem is to disallow the generation of new abstract words that allegedly remove claims from eligibility. The “abstract” exception should be removed. There has not been one set of claims that have been invalidated under the abstract exception that could not have been invalidated under 103. Alice is a sham. It is not difference than the courts saying there are these things called witches. They haven’t broken any laws (i.e., 102, 103, 112), but we know they are bad. So here is a test to see if they are a witch (abstract), so we can get rid of these things we just know are bad ’cause we are so smart. The second thing is to remove each judge on the CAFC that has written “ethereal form of information” in an opinion. Taranto would go, etc. Remove any judge that believes their minds perform information processing in the spirit world. Reyna would go. Etc. 101 is simple. The only reason this is complex is that it has been used by unethical judicial activists to burn the patent system down. If the EPO practice was in sync with the EPC, why they tried to remove the words “programs for computers” from the EPC back in1998? And most software developers oppose software patents, those are pretty rational people. Most software developers oppose software patents? Zoobab directs my attention to the origin of this dilemma, computer software. We find ourselves here because instead of patenting the computer and declaring software unpatentable, the software lobby in its hay day got their way. The video recorder/player is patentable, so why aren’t videos? I think the Director is tasked with slowly rolling us back to where we need to be. What one can do with a pencil, paper and calculator or abacas, without more, should be ineligible under 101, even though it can be done really fast using the computer. The problem’s origin is the past software lobby on steroids. Big money to be made. Now the result is no longer desired. It’s now stifling the same interests and so, it needs undone…a little. I do recognize, however, some software apps survive 101 scrutiny. They yield changes in tangible things, e.g., cancer cure. zoobab is merely reflecting the Lemming element (which very much exists, so, B, he will not be 100% incorrect). “Computer implemented invention(s)” as provided by the EPC and EPO are patent eligible. Any rational arguments that those are not or should not be considered technological improvements? Furthermore, my concern is specifically with patent claims including mathematical formulas. Or do you consider those to be software patents? The first one is an attempt to patent a piece of software, *per se*. That is the type of claim that the EPO language prohibits, and that proponents of software protection tried, unsuccessfully, to persuade the EPO to allow. The second one is a description of a technique that can be implemented by a computer, which is recited by its functionality. This type of claim is allowable in the EPO – and has been since the advent of modern computers. The USPTO tracks closely with both of those conclusions. How about using the language of the statute itself for the “test” of eligibility? Is there claimed a “process” under 35 USC 100? Is there claimed a “process”? Is there claimed a “method”? Is there claimed a new use of a known process? Is there claimed a new use of a known machine? Is there claimed a new use of a known manufacture? Is there claimed a new use of a composition of matter? Is there claimed a new use of a material? If yes to any of the above, then under 101 there is a “process”, therefore patent eligible. If no, consider other parts of the language of 101. Is there a new and useful machine? Is there a new and useful manufacture? Is there a new and useful composition of matter? Is there a new and useful improvement to a machine? Is there a new and useful improvement to a manufacture? Is there a new and useful improvement to a composition of matter? If yes to any, then patent eligible. Is the word “abstract idea” in any statute? If no, then you don’t examine for its presence or absence. It is that simple. Is there any articulable test, anywhere, for “abstract idea” or “significantly more”, that you can meet with substantial evidence under the APA? If no, you don’t, and can’t, examine for it. See Plager in Interval Licensing. Next, are you a judge? If no, you do not get to formulate any judicial exception. That’s why it is called a judicial exception, not an “Office exception” or an “Examiner’s exception”. Nothing in Alice says anything about a patent examiner being able to formulate a judicial exception. At worst, SCOTUS instructs courts to “tread carefully” when ignoring the statute and invalidating on an “implicit” extra-statutory power it thinks courts have. If you are a judge, under separation of powers, on what authority can you add any extra test beyond the language of 100 and 101? Surely if this “exception” has been “implicit” in 101 and its predecessors for “more than 150 years” there must be an articulable test, right? Right? Even Alice said there must be preemption “in all fields” (Alice quoting Bilski), because the claim recites a “basic tool of scientific and technological work” or a “building block of human ingenuity”. If there is no preemption “in all fields”, there is no abstract idea under Alice. Either a majority opposes s/w patent or they do not. Obviously, the retards at the EFF hate all software patents, but those same retards are financed by companies that get their own s/w patents, and I can prove it. Their amicus briefs are exercises in morbid stupidity. Software running on a computer is a process. Processes are patent eligible under s101. The Federal Circuit’s idiotic tyranny (mostly Taranto and Reyna) in this issue may soon be coming to an end. The next three months will be telling. I see a problem with this approach. Hedging is very practical. This approach would hold the Alice claims statutory. Yes and no. Yes, because the standard doesn’t follow Alice. No, because Anything under Alice is better handled under s103. Now if only someone could fire Robert Bahr. BAM! You hit it on the head. None of the black robe crowd at the CAFC can be bothered reading the statutes much less interpreting statutory language. The categories approach was used by the Office shortly after Alice in several rejections. To the Office (and especially the 3600 art unit), everything was a method for organizing human behavior, e.g., organizing the human behavior required to operate the computer to perform the computer-implemented method. While what is described in Dir. Iancu’s speech would likely be a step towards the right direction, it will not solve the problem because the 101 specialists in the Office will still find a way to unilaterally reject any patent application. The current way to reject any application even after Berkheimer and the memo, is to lump any elements and features that could possibly be “significantly more” under Alice Part 2 Step 2B into the abstract idea so that those features (which could save the patent) can be discarded under Alice Part 1 Step 2A and ignored under Alice Part 2 Step 2B without having to provide evidence showing that those features are well understood, routine, and conventional. The true issue with abstract idea jurisprudence is that it is a straw man argument for which the courts can forever play hide the ball by continuously moving the boundary of what is or is not part of an abstract idea. Rather than analyzing the claim language as written, it can be argued that the courts fabricate an abstract idea and reject claims over the fabricated language instead of the claim language itself. Since the cases that reject claims over abstract ideas arguably do not follow the law, they should at best be limited exclusively to the exact subject matter and claims of those cases. @ anony “To the Office (and especially the 3600 art unit), everything was a method for organizing human behavior, e.g., organizing the human behavior required to operate the computer to perform the computer-implemented method. 3600 is run by fools and crewed by the inept. BTW, the “organizing human behavior” bit was from a concurring decision by Ginsberg, Kagen and Wise Latina — rejected by the other 6 justices. And that moron Bob Bahr had to put it in the 101 guidelines. Now, the Director must make it absolutely clear in the final memo that this guidance is SOP grade; and IS to be followed. No more blow off responses from too many Examiners as has happened post the Berkheimer memo. We should all realize it is by no small degree of intent that the PTAB and its rules were restructured before this preview on the new Alice guidelines was given. Too many Examiners have continued their folly of unduly rejecting under 101 hiding behind the presumption that the PTAB would continue theirs; thus, discouraging appeals. The Director said ‘we are one agency’. He’s serious about that comment. Examiners who are smart but need to cleanse themselves of their past ways will get on board and start working with applicants. The Director is serious when he says the malaise surrounding 101 must end. Paper and pencil have nothing to do with a computer. A computer is a machine that processes signals. A computer does not even know numbers. One of the problems is your “without more” requirement. It goes back to the assumption that the computer is like a human in many regards, only faster. But a computer is not and never has been. An electronic calculator is a machine that can do what a human can do with paper and pencil, only faster. Clearly, an electronic calculator should be patent eligible. The best way, I believe, is to stop at Bilski. If some transformation (in signals, data) by a machine takes place, it is patent eligible and move on to 102 or 103 analysis. Both of your observations are exactly my complaints on my patent prosecution. The law was not followed, the official memos were no followed. We are heading to PTAB and upwards hoping and praying the “rule of law” is found somewhere. We argued throughout the prosecution the “practical application” of my process, so the Director’s view is encouraging. I was told my process is conventional, well known and routine. Here is the trick question: By Whom on Earth uses my process? 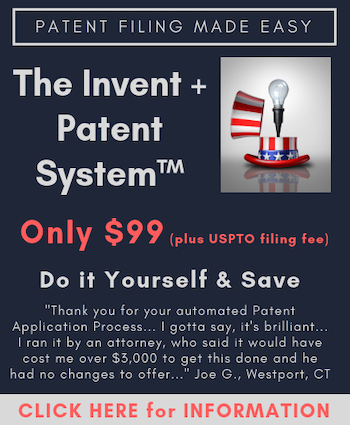 All of us who believe in a strong U.S. patent system need to get behind Director Iancu on this 101 problem, using him as the “tip of the spear” to get Congress’ attention to legislatively fix this mess created by the nonsensical Mayo/Alice framework and tell Our Judicial Mount Olympus (aka SCOTUS) that there ARE NO JUDICIAL EXCEPTIONS as to what is patent eligible. And if SCOTUS doesn’t heed that message, then it’s time for jurisdiction stripping, barring SCOTUS from hearing any appeal involving patent law jurisprudence. The time for treating SCOTUS with kid gloves when it comes to patent law is over. Well said. I think a large part of this should be holding people like Lemley accountable for unethical conduct as well as judge shaming, e.g., making a holding of fact based on a non-peer review journal article with contested facts, writing in opinions at the CAFC that information has an ethereal form, etc. The fact is that almost all of the weakening of the patent system has come from judicial activism. The fact is too that the CAFC is stacked with Google judges. You don’t get rid of cancer by ignoring the tumor. Note that a study of Google’s influence on the IP system turned up that Lemley has a large financial interest in burning the patent system down and is married to a former Google executive. If the director is now advocating 101 standards in direct contradiction to SCOTUS rulings, is not the director in effect saying that under the current state of law it is no longer possible to examine under 101? If that is truly the case, then perhaps the director should stop all examination in the art units where 101 can no longer be determined. There is no point in the USPTO issuing patents if we cannot be reasonably certain that they will be held valid in the courts. I respectfully disagree. It may be intensely frustrating prosecuting a patent application in 3600BM (i.e. work groups 3620, 3680 and 3690), but 3600 BM examiners have been overwhelmingly affirmed by the PTAB. For example, in the past 12 months there were about 400 101 appeal decisions in work group 3690 (finance). Only 20 were reversed. The rest were affirmed. The PTAB affirming examiners in 3600 means very little and not that the examiners are competent. In my own experience with 3600, I’d say the examiners are no different than the other AUs, but are being told to reject, reject, reject. I think most realize that these 101 rejections put all the power in the fact finder’s hands and are a joke. Hahaha, you must be kidding? You call that a standard? The APJs presiding over 3600 are complete brainless lackeys, and some are some are outright scum. Just forgetting the hundreds of PTAB moronic decisions I’ve read, I had an APJ (during oral argument) lie to my face. He “found” a piece of “prior art,” and misrepresented what it meant. Later when I pulled his reference, I found out it wasn’t prior art, and it stood for the complete opposite of what he claimed. Oh, yes, and another APJ on the same panel accused me of making a misrepresentation in the published decision. I called the Virginia bar and, based on their backing and advice, forced those POSs to retract their lie. I can prove EVERY WORD OF IT, Mr. Nowotarski. Assuming that a claim doesn’t preempt an idea in of itself, an Alice Corp. decision is a very high standard as outlined by the SCOTUS. It was the Federal Circuit that dispatched with the evidentiary requirements mentioned in both Alice and Mayo (and took the CAFC over five years to actually read that part of Mayo), ran roughshod over the statutory language of s101 and gave us a jurisprudence of contradictions. Anyone actually read the In re Bhagat decision? PTAB read out half of s101 and read in a new requirement, which the CAFC affirmed. I applaud Iancu. I honestly do. He’s the best thing to happen to the USPTO in a decade. Iancu, however, is counseled by fools, such as BOB BAHR, who made all things Alice Corp. worse. I recently challenged the CAFC to define the term “inventive concept” on petition for rehearing. Actually, to be fair, I told them the term was meaningless and cited Supreme Court case law and some classic Giles Rich to prove my point. Villena and Investpic will either both fail horribly or change the system en banc for the good. Take Investpic – now on its second rehearing and its first rehearing en banc: O’Malley and Mayer may be willing to sign on to whatever nonsense Taranto writes, but I suspect that’s not the case with the majority of CAFC judges. Night @ 36 – regarding the comment to MN @ 35. You are correct that the statements made in the MN post mean (prove) very little except for the opposite case. For Examiners, It does, however “mean” something very tangible to them for them to see their 101 decisions upheld at a high rate for they see it as their batting average and their ability to handicap well. Iancu needs to get them thinking in the same way but about their issue count with rules that are clear that do not beat them down for approving an application via endless validity issues. The Examiner (for sure in 3600) is being positively reinforced (visa vie their artificially high appeal batting average) to tear down the patent system. Further, who wouldn’t love 103 with no bounds? The upcoming memo will be telling, the ghost of M Lee needs to be exorcised and this ain’t gonna be fixed quick. But, Iancu tearing it up and here’s hoping for sweeping support from the AUs. I do still mostly feel Examiners across the board want to approve inventions deserving of patent protection. The bad apples are who they are. With the right leadership, and clarity of rules, the system CAN function again. I get the that the feedback from the PTAB drives the examiners confidence in rejecting under absurd 101 rejections. I deal with these people. It is time to change things, but I doubt the PTO director can do all that much. It is great he is trying and I hope he lands on the CAFC after being a director. Obama is really to blame for most of what has happened. It is not positive reinforcement for examiners when their rejections are upheld by the PTAB when evidence is not acknowledged, their own deputy’s official memos are dismissed, and a law that has invisible words is applied. I remember playground games in kindergarten where the rules were made up in progress. Those 5-year-old children also had a high battling average applying made up slanted rules as they went. However, I doubt today those children decades later would truly consider their winning as victories or confirmation the means justified the end. People really should focus more on how this happened? Why has this happened? We aren’t going to turn it around as long as the tumors are still there. I’d say Obama was the number one reason. Academia for selling out and allowing people that are not academics to pretend they are and for not enforcing ethics. The big corporations for using their influence to burn the patent system down. The SCOTUS for believing all the amicus briefs rather than spending time to figure out what is going on. But almost all of this is still in place. And the bad actors have been rewarded beyond their dreams for the actions. What people don’t seem to get is they are all there now and will fight tooth and nail to keep what they have won. People also don’t get that without the academics none of this would have happened. I’d say thinking about it a bit more deeply that they are probably most responsible. They are a but for condition and completely and totally corrupt. They have turned into machines that will generate support for any idea that people are will to pay them for. Night @ 41 – agree especially the Obama effect on the CAFC and here’s hoping someone like Iancu would want to serve as a judge. And, further, here’s hoping that a judge like him would motivate those interested in healing the system to volunteer to serve alongside him. Concerned @ 42. You are spot on -consistent rules are the way out of this mess. And, with those rules consistently applied all players have the opportunity, best or worst, to be proud of participating in advancing the useful arts. Now the debate shifts from what is “abstract” to what is “practical”.